Well, alright, just scones then, I haven't got around to making my own jam yet - one day, when I have my own garden and fruit trees! Everyone loves scones - I wish there was a vegan clotted cream to add to the jam. Still, pretty good even without. Edit: See comments section - there is! jam, the fruit of your choice, to finish.... of course! Pop the flour, baking powder, salt and sugar in a mixing bowl and then use your fingers to rub the margarine in thoroughly. Add the soya milk and stir with a spoon to mix it all into a dough, then use your hands again to round the dough up and bring it out onto a clean, floured work surface. Add more flour as necessary to stop the dough from being sticky itself, or from sticking to the work surface. Roll the dough out until it is about an inch thick - if you roll it too flat like a biscuit, the scones won't be all nice and tall like they are in the shops. Preferably, if you have a fluted cutter, use this to cut out rounds of scones. 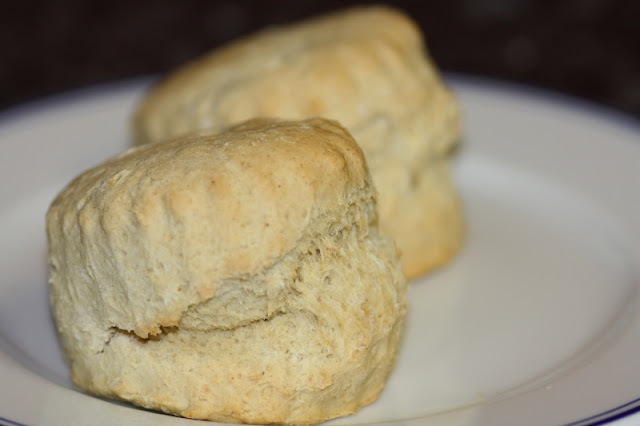 You can use the end of a glass if you don't have a cutter, but you won't get the authentic fluted scone edges. Bake at 170⁰C for about 20 minutes until golden on top. Perhaps you could glaze the tops with soya milk, I haven't tried this, but I know that sometimes I struggle to get them to turn a little brown on top and they come out the oven cooked, but rather pale. Best warm, in my humble opinion, smothered with jam. I can't wait to give these recipes a go!